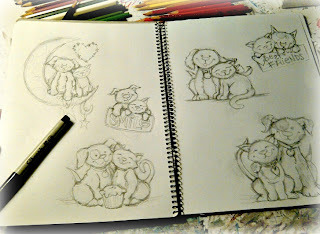 Pop Art Minis: Show & Tell Saturday...Who Says Cats & Dogs Can't Be Best Friends 4ever! Show & Tell Saturday...Who Says Cats & Dogs Can't Be Best Friends 4ever! I know what you're thinking...how is it possible that cats and dogs can be "besties!" 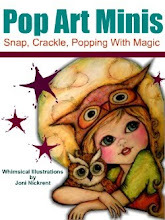 In the world of Pop Art Minis anything is possible and that's exactly what has transpired...or I should say inspired my latest mini adventures! 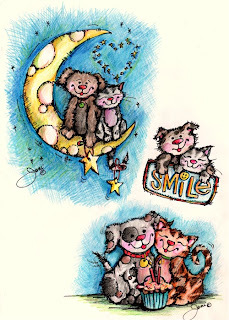 It's been a week of purrr-fect kitties and delightful doggies complete with smiling faces, wagging tails and B.F.F.'s! 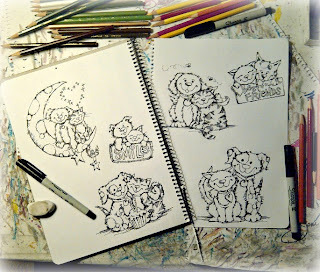 Here's the peek at my pencil sketches to the Sharpie inked details to the finished "pops" of color! There you have it...side by side...sitting on the moon...sharing a hug and a cupcake too! 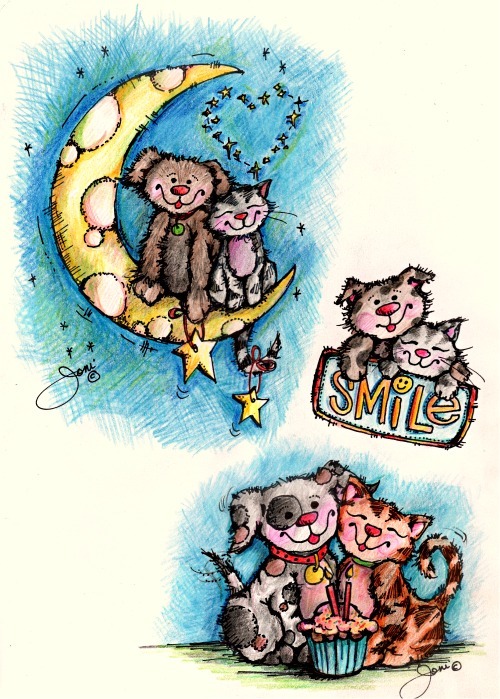 Do you have a fave...doggie or kitty...which would come home with YOU? 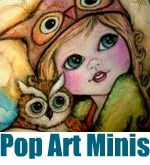 Shared over at Artists in Blogland Show and Tell Saturday! I think dogs and cats can be best friends - I know many who are. Yours are very cute. These are all so cute! 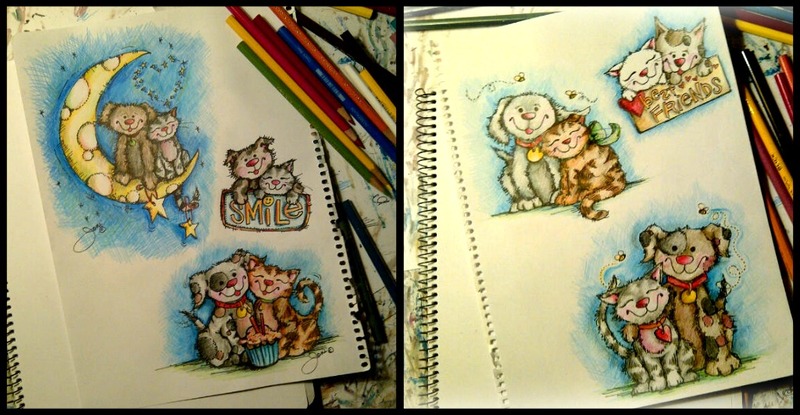 My favourite, although I love them all, is the scruffy looking dog at the bottom of the first coloured picture. veru cute as always! i love seeing the steps along the way! My dog is fascinated with Cats! I love your coloring- very pretty. 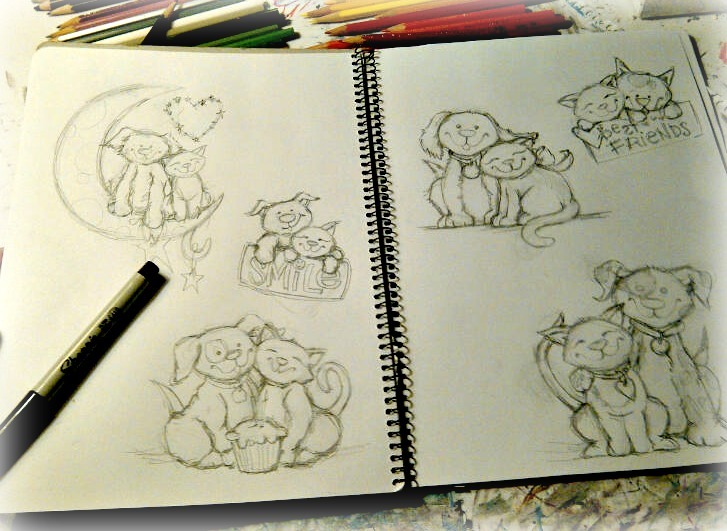 I need to get my pencils out more.....! Thanks for the visuals too. they are adorable. love the expressions. These are AWESOME! 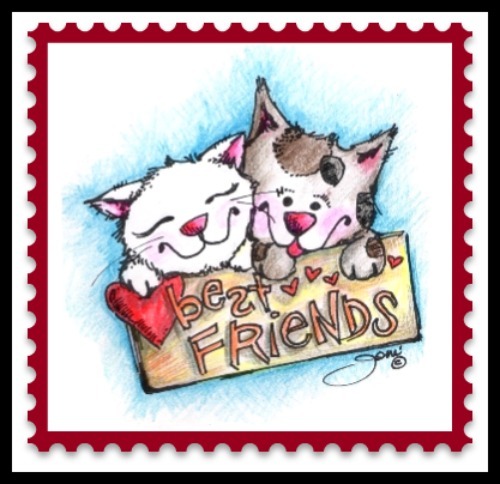 We had a cat & dog that were the best of friends, so this is adorable to me!!! Lovely and sweet little paintings. So talented. This is so adorable! 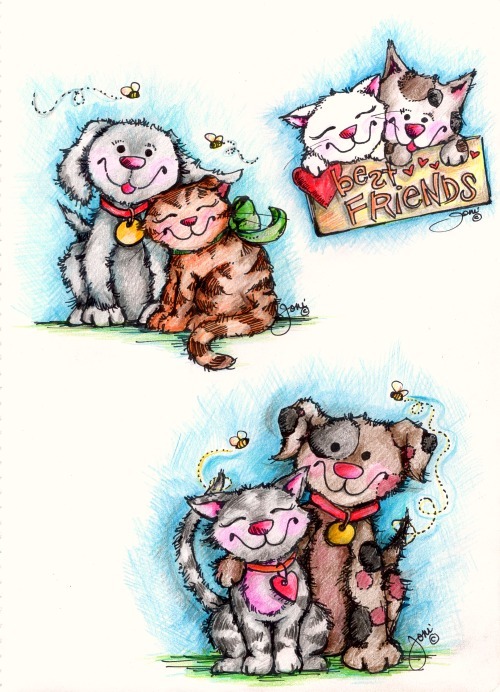 :) My cats and dogs are friends too. One cat in particular is a great dog lover.